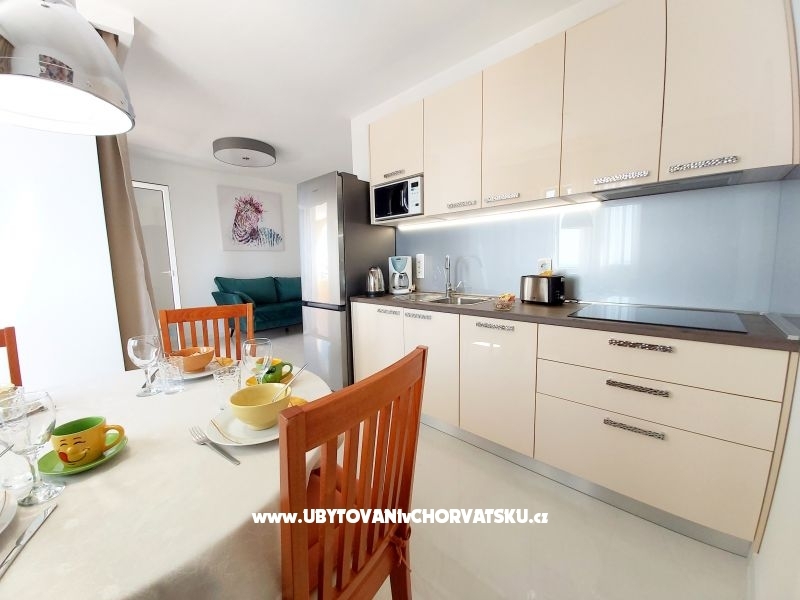 "AP-5" - Overlooking terrace on bay Movarstica and Adriatic Sea, apartment contain a LCD TV with satellite channels, free Wi-Fi, free dedicated parking place, free A/C and free barbecue facilities. 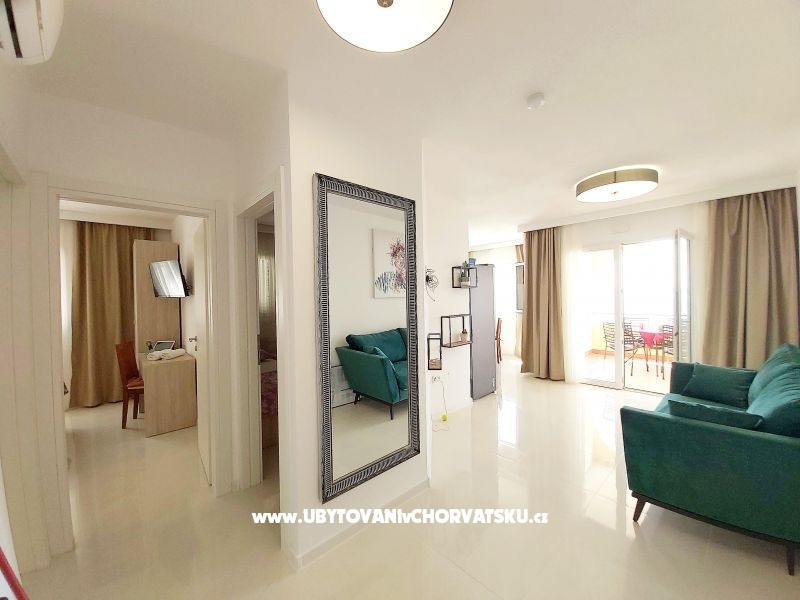 "AP-6" - Overlooking terrace on bay Movarstica and Adriatic Sea, apartment contain a LCD TV with satellite channels, free Wi-Fi, free dedicated parking place, free A/C and free barbecue facilities. 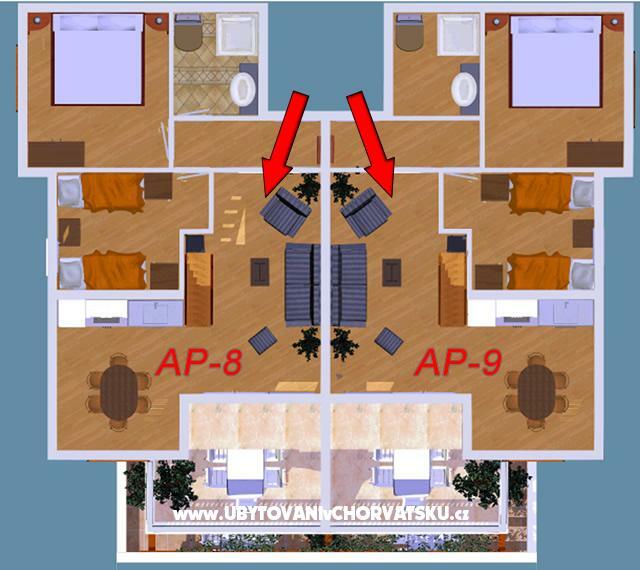 "AP-8" - Overlooking terrace on bay Movarstica and Adriatic Sea, apartment contain a LCD TV with satellite channels, free Wi-Fi, free dedicated parking place, free A/C and free barbecue facilities. Our House No. 2 doesn’t just have a terrace with a dreamlike sea view. Since 2016 it also has heated swimming pool with Jacuzzi. 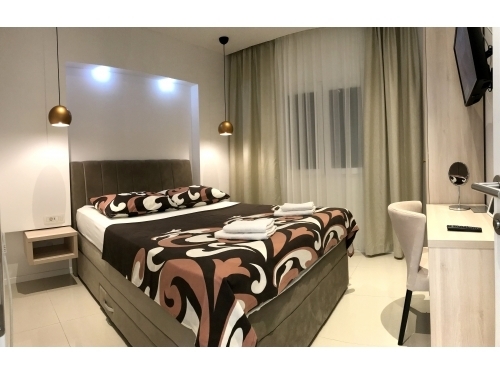 We offer two apartments for four persons each, two more with four + one person each, and one large apartment for eight guests. All have an own terrace, free Wi-Fi, A/C, a dedicated parking place and access to the swimming pool and jacuzzi. 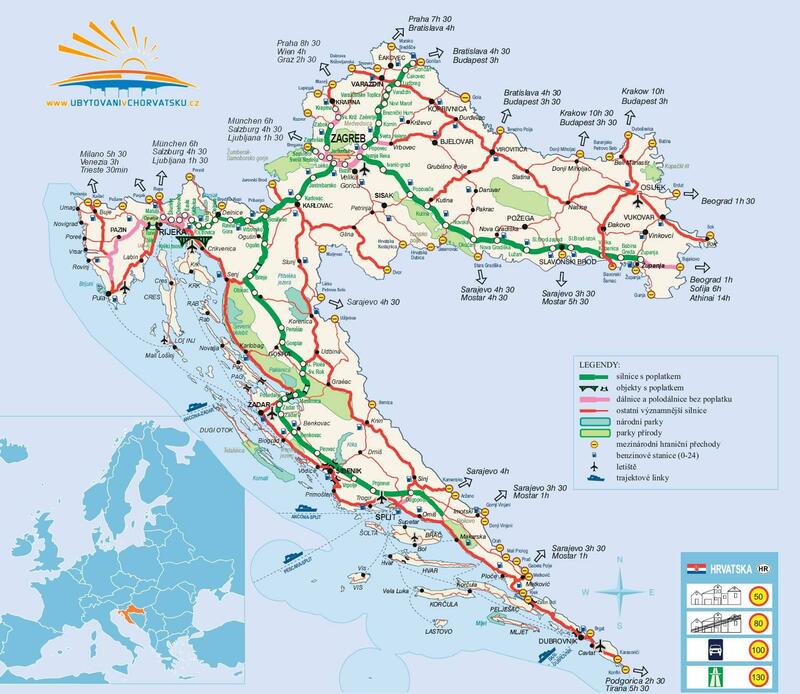 Apartments Zora is a cozy, family-run vacation residency in the heart of Dalmatia. 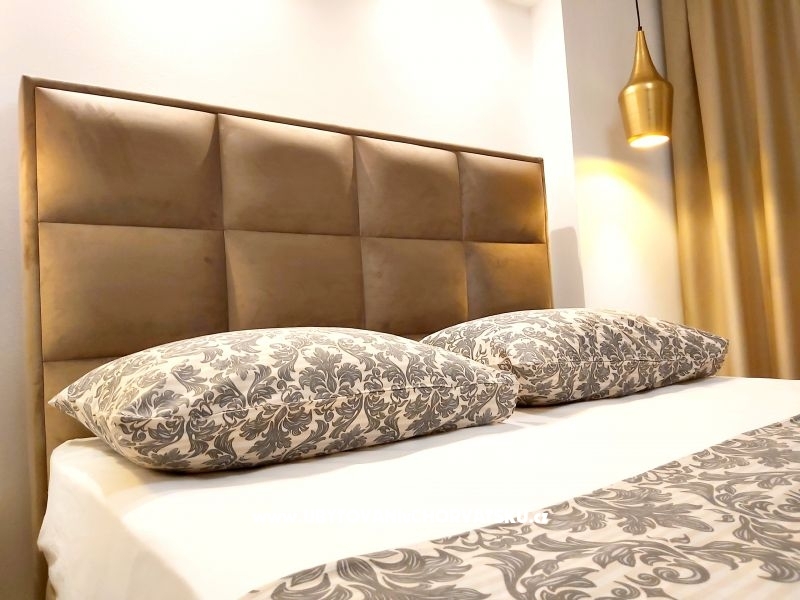 Located in the fishing village Okrug Gornji on the Ciovo peninsula we offer an ideal setup for a relaxing holiday with your family and friends. 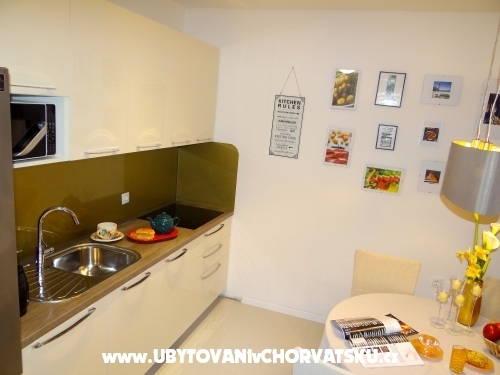 Our two houses can accommodate up to 39 persons in 8 newly adapted apartments. Even though there are two beaches available in walking distance, in House-2 we also offer an outdoor heated swimming pool with Jacuzzi and large sundeck. All apartments are air-conditioned, have complimentary Wi-Fi and offer dedicated parking and terraces with a stunning view on Mavarstica Bay. 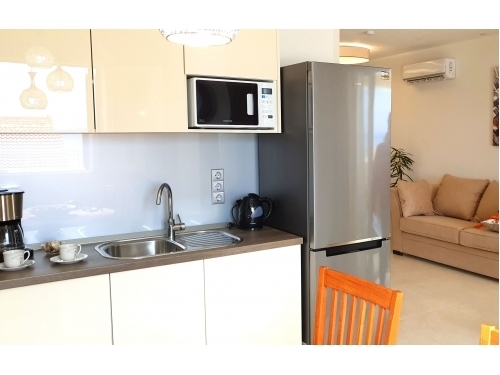 Accommodation reviews and comments for "Apartments Zora"